Rock Event Group, Mumbai aims to build trust and develop lasting relationships with their clients so they can work as a family with them and provide them with the most professional services at affordable prices without sacrificing the quality of our products. Rock Event Group provide first class wedding decorations throughout Mumbai and near by cities and promise to provide the perfect venue decor to make your day special in every way possible. They can transform your venue into the wedding reception of your dreams by using a wide range of quality venue decoration services. They have a dedicated team of florists and stylists who will pay attention to every detail of your wedding or other special occasions. So when it comes to flower decoration, mandap decorations, table centerpieces, lighting and balloons - their products are the best. 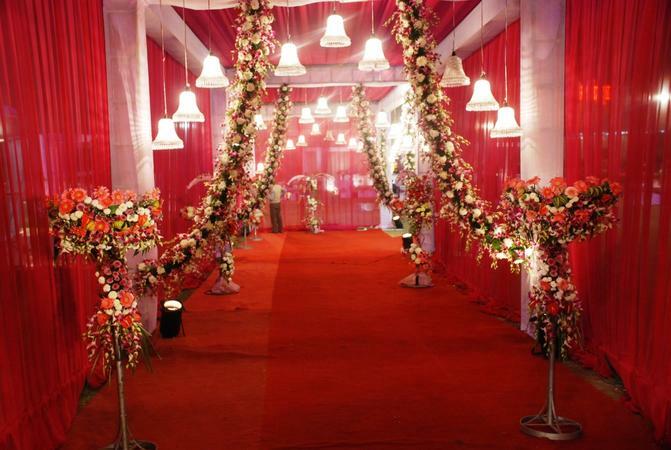 Rock Event Group is a wedding decorator based out of Andheri East, Mumbai . Rock Event Group's telephone number is 76-66-77-88-99, address is B-29 ,Bina Apartments ,MV Road ,Andheri East -400069. In terms of pricing Rock Event Group offers various packages starting at Rs 90000/-. There are 0 albums here at Weddingz -- suggest you have a look. Call weddingz.in to book Rock Event Group at guaranteed prices and with peace of mind.